Homemade pie is one of the most universally beloved baked goods out there. Not only do we love the taste, we love the presentation. And while we are constantly in search of achieving flaky dough and perfect crimps and lattices, all it takes is some practice. What’s more is this: The most beautiful pies aren’t, in fact, perfect. It’s their irregularity that gives them character and appeal. 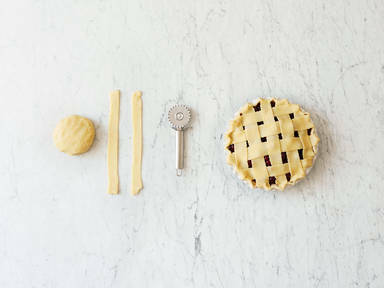 Watch the video above to learn how to perfectly crimp and lattice your pie, then try for yourself—you’ll soon see that you, too, can make picture-worthy pie.